Founding Membership is now closed. 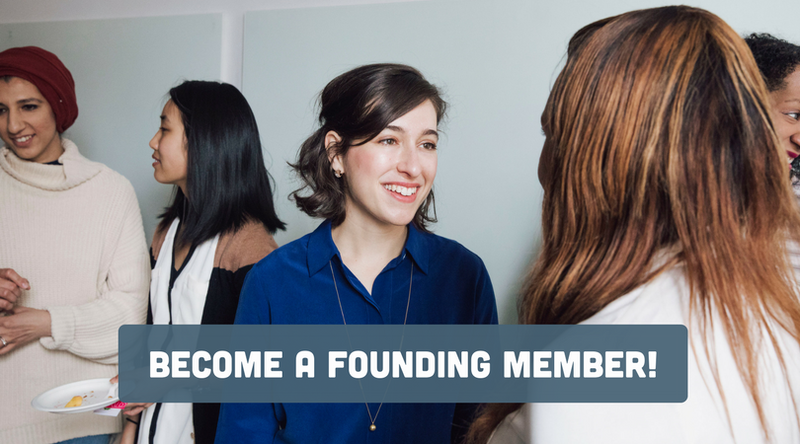 👑 Access to our Founding Members-Only Facebook group and directory for networking with our most well-connected Tech Ladies. 📺 Watch all Tech Ladies webinars on demand, on your schedule, for free. 🎁 Access to our Perks Portal which has 600+ deals + discounts on hotels, coworking spaces, local gyms, coding classes, + more. 🏆 A Founding Member badge to display on your profile or website. 🎟 Free Admission to all Tech Ladies events and webinars plus discounts on select tech conferences throughout the year. 🌱 Building a team? Enjoy 20% off all job postings on our job board. ... all for way less than the price of attending even one conference. Meet some of our Founding Members! "Investing in your job search is always scary, but I can say definitively that the Tech Ladies Founding Membership had the best ROI I've ever gotten on anything. I received responses to all of the positions I applied for through Tech Ladies, and ultimately accepted a position at Healthify as an implementation engineer. Knowing that I'm working for a mission-based company that is focused on diversity is, non-hyperbolically, a dream come true." "Tech Ladies' convenient webinars, resources, and online community have provided me the structure I need to grow consistently. I love the thoughtfully curated perks (e.g. a copywriting course that helped me with my UI/UX process). This is a welcoming network with so many opportunities and open conversations - I highly recommend it!" "I have found the Founder Members to be an incredibly supportive community. Not only do I get access to tons of free events, hugely discounted conferences, and amazing resources, I also get access to a community that is willing to go the extra step for you in giving you information you need. Just a few weeks ago, I was having a tech issue and a Founding Member spent over two hours on the phone with me helping me resolve it. The Founding Members group is smaller so you get to know the members at a more personal level and it turns out to be invaluable." "As a Founding Member of Tech Ladies, I’ve had the opportunity to connect with so many brilliant, amazing women in the tech space. Tech Ladies doesn’t just attempt to send a message of sisterly solidarity. It succeeds in demonstrating the power of women helping women. " "Before I joined Tech Ladies, I felt like I was bumbling around and finding my own way. I didn't have a network of other women in tech. I've posted questions in the Founding Members forum that are answered honestly and candidly. I have come to really have a greater confidence in myself after seeing some of the issues I faced were common. I'm truly grateful." Alaura Weaver, Digital Copywriter, WordWeaver Freelance Copywriting.